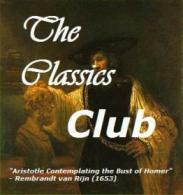 I completed my first Classics Club list in April 2018 - 7 months behind schedule. Part of the reason for the time lag was my impatience to start CC List #2 before I had finished the first! CC List #2 is a healthy mix of Australian, Asian, non-fiction, biographies of classic authors as well as the usual European & American contenders. Have you included some Nobel Winners? My "Nobel reads"......low on my priority list. Fabulous. It's an excellent combination of old and new(ish), long works and short works, with the heady inclusion of both well known and (somewhat) obscure books. I spy Testament of Friendship! EXCELLENT book. I love the Annotated Jane Austen series, I've read three of them and they're wonderful. I own a lot of these books! The Makioka Sisters is wonderful, also all the Willa Cathers. Also a fan of Wilkie Collins and I haven't read any of those yet, so I look forward to your posts about those! And so much Zola, I'm verklempt.